Andy that is an option, closer than JC. Thanks Andy. Nice to have somebody respond that really knows what he is talking about, rather than just taking a guess. Hey, my guess is PDC! and it was based on my repair last fall. Anyway, you can't find a $100 labor rate around here anyway. I stick with my $1650 estimate. I WANT MY USED RIVET PRIZE! JEEPERS CREEPERS (I'm attempting to extinguish my inner Marine D.I.) For that amount you could justify a trip to the Mother ship! I'll bet you a bag of oreos that they will quote $1650 for that single segment. They must really upcharge for the NW part of the country. Bob Jones RV in south Houston and I work very well together, and have for many years. If your interested, let me know and I will contact them for you. I'll second Bob Jones here in Houston. They do a good job and are very detailed. They know Airstreams and I've seen them working on a couple skin repairs when I've been in there. Only thing is you can't be in a hurry. But they're good. Talk to Chris over there. Yeah their numbers are outrageous! That was from the airstream dealer in Covington,Wa & Eugene,Or. Andy do you have any suggestions for a repair shop up here in the PNW? I told the girl at airstream dealer that their price of $1,000 per panel was out of control And that I could purchase the panels at Inland R.V. For a fraction of the cost. She didn't care for that too much and got brief with me. Andy, at this point I plan to use Foley RV in Gulfport MS. I met Rick at the Can Opener a few years back and he contacted me as soon as he saw I had a problem. His quote is inline with what you provided. Rick has a factory trained technician on staff. He also is a member here. As always thanks for your advice and commitment to the Airstream Community. 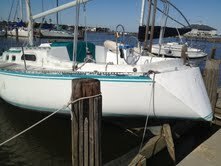 My latest problem, how to get my boat off of the bracing for the pier. Isaac pushed the water in the lake so high the boat came down on a cross member it is sitting between the prop and the rudder. 6 ton boat. Oh well it is only a problem if you can't fix it. Well Jim, have you thought of using a "freight helicopter" to do it? Not cheap, but I think it would work, with no more damage to the boat. Air bags, like they use to lift heavy trucks after an accident. I have seen them used in a similar situation down in the Mobile, AL area. A marine salvage company had them. Another possibility would be a barge mounted crane. I had had damage last year and it was @ $1500.00 per segment installed. I just sent an email with pictures of the areas that need to be replaced to JC, and other closer dealers and they all came back around the same price. I went with Griffith in OKC and he did a great job! http://www.griffithrvservice.com good luck with your repairs. Hi Jim -back in June I had a storm damage my 2012 FC. I posted the estimate and received a lot of feedback. I can forward the post to you as the estimate contains the cost to replace two panels and a door. 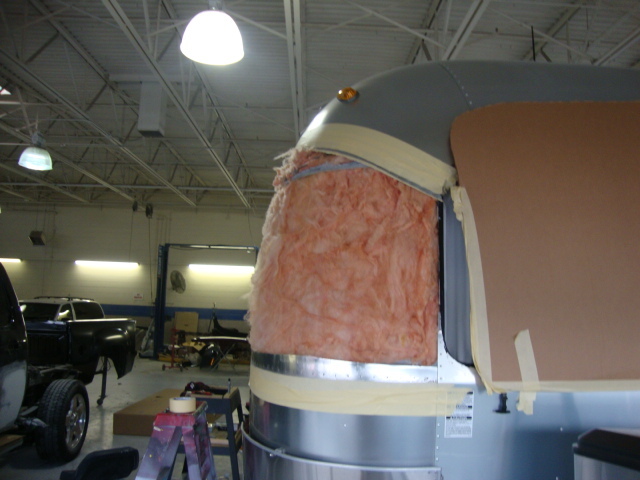 I have to second Griffith RV repair in Oklahoma City. 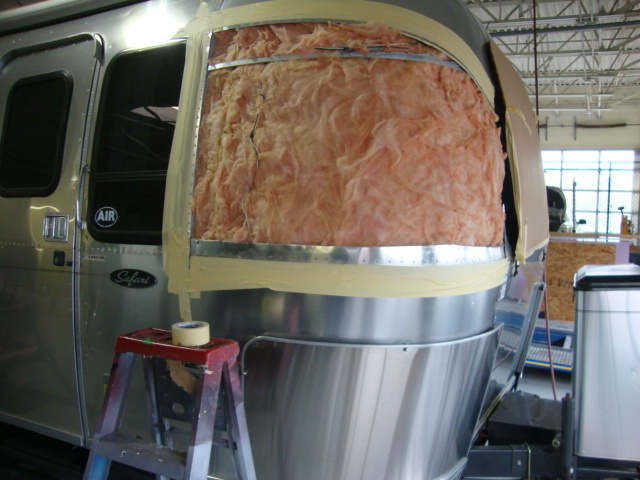 Airstream metal replacement is the bulk of Tom's work. They replaced the complete lower left side of our trailer last year following a tire failure. Could not have been more pleased with the results. Give Darla a call and send pictures for an estimate. I know it will be a long trip but for us it was well worth it. Maybe she will be home for Christmas.